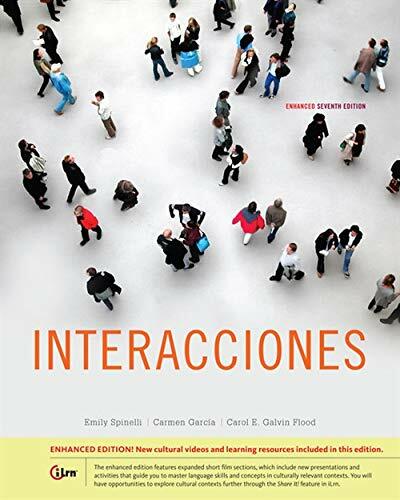 This newly revised edition of INTERACCIONES bridges the gap between first- and second-year Spanish through a broad focus on useful grammar structures, practical vocabulary, and an overview of culture that is both extensive and detailed. Along with it is a new video program containing six award-winning short films, all delivered within an intuitive and understandable unit organization. INTERACCIONES employs a tried-and-true pedagogical approach with special attention to the use of language in context and the National Standards for Foreign Language Learning. If you have any questions about this product by Heinle, contact us by completing and submitting the form below. If you are looking for a specif part number, please include it with your message.